I.Overview of the media and cultural landscape in Switzerland – Bloggo ergo cogito et sum…. Contrary to the image conveyed by an animated series like Heidi, Swiss people have come down from the mountains a long time ago and now mostly live in cities. 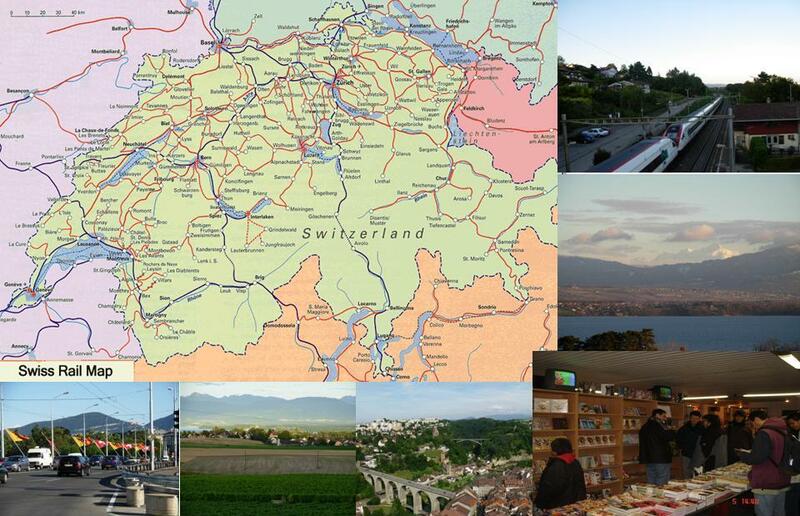 Even those living in the « country side » (quotes in quotes), are usually within 30 minutes of train or car from the urban centers that are Geneva, Berne, Basel, Zurich, Sankt-Gallen or Lugano. 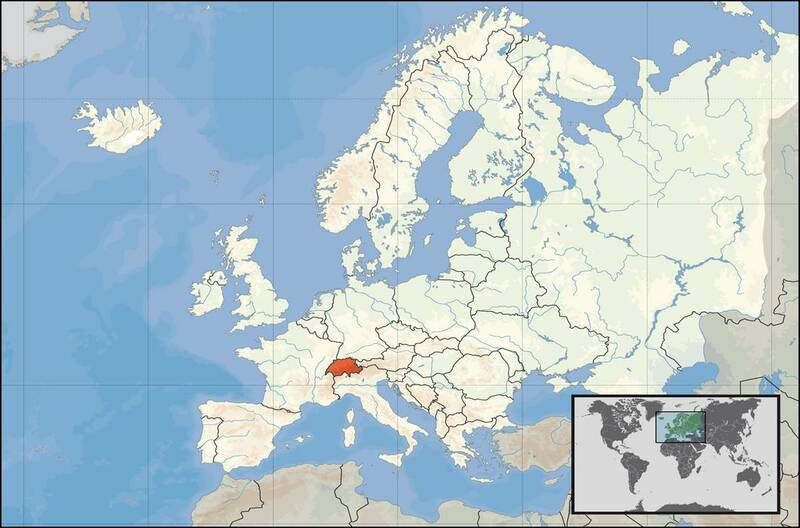 Although tiny at the international scale, Switzerland is divided into 3 linguistic and cultural regions, which match the zones of influences exerted by the neighboring former European powers: France (on the South-Western borders), Germany and Austria (on the Northern and Eastern borders) and Italy (on the Southern borders). In a country of only 7 millions inhabitants, you have 3 national languages! The population is made of 73% German-speaking, 21% of French-speaking and 5% of Italian-speaking people. Concretely, this means that each schooler has to learn at least 2 national languages, German and French, Italian being optional. 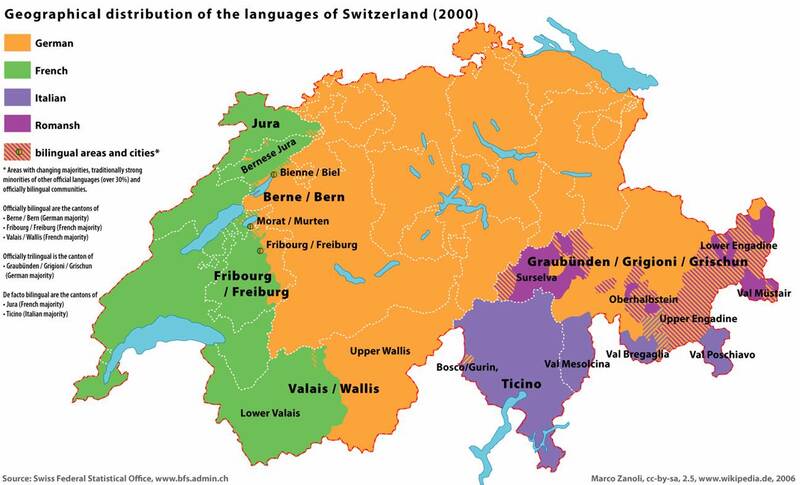 This linguistic-cultural division of Switzerland has contributed to the regionalization of the audiences and potential publics. This situation makes it nearly impossible and extremely costly to produce a national entertainment industry strickly speaking, precisely because the critical mass that characterizes it is never attained. Moreover, because of the small size of its population, the country doesn’t have the ability to provide as many « creators » (artists, writers,…) with a potential to be popular as other countries such as France. For this reason, a large part of the broadcasted content in Swiss audiovisual medias and in printed form come from countries with internal markets large enough for the blooming of a national entertainment industry, which can then export itself in neighboring countries. Thus, most TV series and films shown on national channels from abroad. And so is it for the Swiss national cinema industry, whose production is minuscule and almost completely dependant on public money. With regards to the publishing industry, although there is a high number of Swiss editors, they sustain the same handicap that tend to favor foreign products in the field of popular culture, especially when it comes to comics. In this case that particularly interests us because of the obvious link between comics editors and the diffusion of mangas accross Europe, the production is essentially carried out by small companies, founded by passionate editors, which survive as they can and often need financial back-up from other sources, like the State to make ends meet. Of course, these publishing houses are mostly active at the regional-linguistic level and very rarely are comics in French translated in German and Italian or vice-versa. In such a context, there are very few incentives for Swiss editors of mangas, when the comics publishing houses in neighboring countries, with much more interesting national markets, are already doing the job. It is therefore much easier and cheaper to import the edited titles from Europe and to distribute them accross the country. These last few years have thus witnessed the birth of a few companies (Mix-image, Anime Virtual , OAV Films among others), specialized in the distribution of mangas and animes, either in shops entirely devoted to Japanese popular culture (like Tanigami in Geneva and Lausanne), or directly through Internet. Of these companies, Anime Virtual is the only one that also edits DVD’s of animes and only for the German-speaking markets. 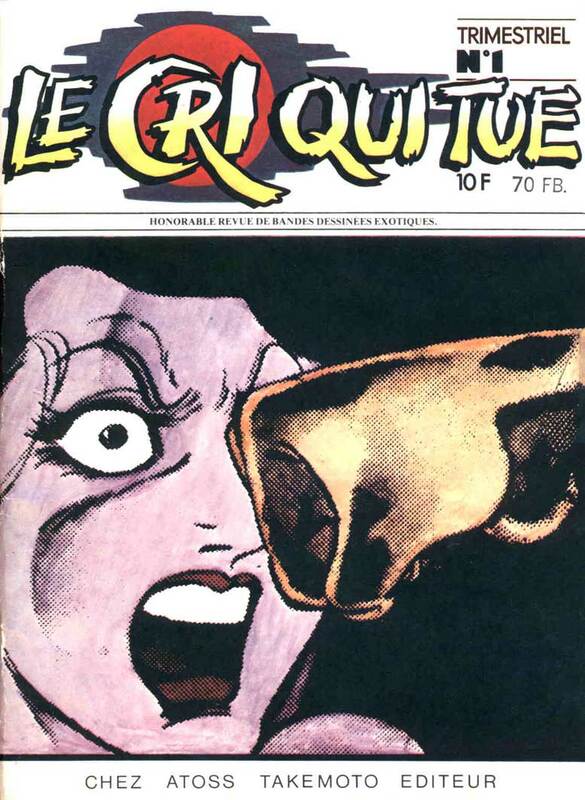 At the end of the 1970’s, a first attempt at popularizing mangas in Switzerland was made with the magazine «Le cri qui tue », by Atoss Takemoto, a real Japanese globe-trotter who emigrated for a time in the Swiss Jura (Western mountain chains at the border with France). However, by lack of public response, he was able to carry out this initiative for only 5 years, which isn’t so bad considering that he was publishing only avant-garde mangas in cultural environment not really prepared for these strange comics. The diffusion of mangas in Switzerland isn’t only determined by the national media landscape of the country but also by mentality. Comics and cartoons are usually considered to be before all entertainment for kids aged 8 to 12. Moreover, images, animated or not, enjoy much less cultural legitimity than writing and, thus by extension, literature, even in the context of pure entertainment. Basically, comics and cartoons are simplistic and therefore, for kids. This perception is pretty much equally held by the Swiss television, which has been always priviledging series for teenagers and younger children in its rare scheduling of animes. However, the perception of the products from the Japanese entertainment industry has positively evolved over the last 5-6 years. For one thing, Myazaki Hayao’s movies, especially Spirited Away (Sen to Chihiro no Kamikakushi – 千と千尋の神隠し), have contributed to give some respectability to Japanese animation. On top of this, several Swiss festivals of cinema enjoying a good reputation have started to feature Japanese animated movies. Finally, conventions like Polymanga or JapAniMangaNight organized by groups of fans turned near-professionals have progressively attracted the attention of general medias. 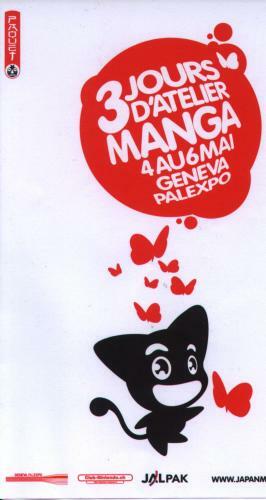 Their interest has been particularly aroused by the Japan Manga Festival 2007, which took place amid the Geneva Salon International du Livre et de la Presse, thus benefiting of its aura of legitimacy. Journalists then tried to better circumscribe what had become in their eyes much more than a mere fashion, a real sociocultural phenomenon. 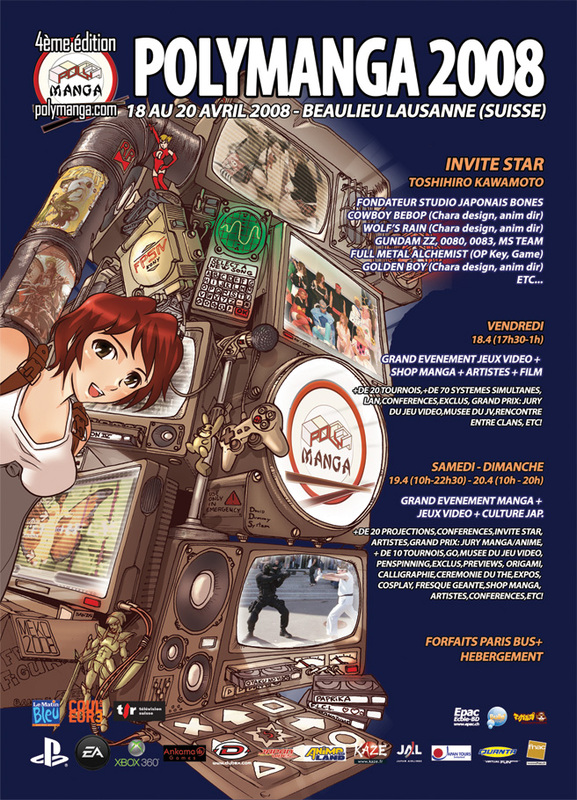 To such a point, that a documentary devoted to the manga culture in Switzerland was broadcasted on the French-speaking TV channel in December 2007. On the other hand, they still have a tendency to consider the « cosplayers » as the archetype of the fans and to portray him/her as a sort of « otaku », in the sense that we often understand this term in Switzerland, that is a poor idiot who’s been lobotomized by an overconsumption of mass-culture products. And when they don’t fall into such extremes, they then usually portray the standard manga consumer as a teenage who completely disconcerts his/her parents with a daily language that includes such strange terms like « hokage », « chakra »,… As a result, despite the conscensus about the existence of good-quality series aimed at adults, the older amateurs are often thought of as childish unreliable persons. 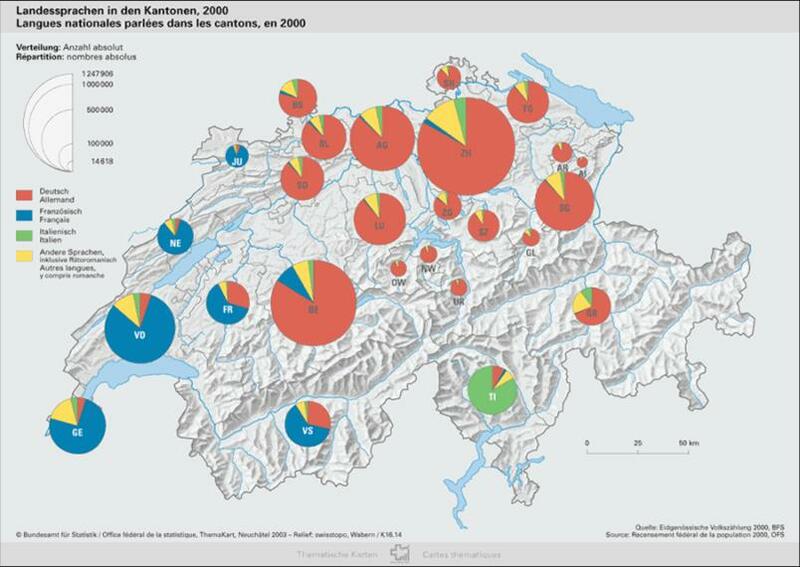 In this view, a more thorough study of these publics, as proposed by our survey of Swiss manga readers, is more than welcome to set the record straight, at least to some extent.